Luis' first book sparked a national conversation about service dogs and PTSD. 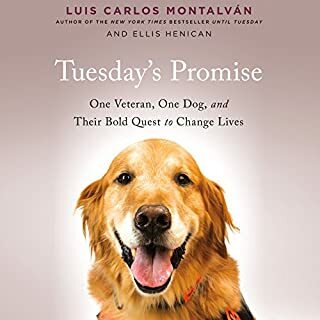 In this spectacular new memoir, he and Tuesday bring their healing mission to the next level, showing how these beautifully trained animals can assist soldiers, veterans, and many others with disabilities. Rescuing a forgotten Tuskegee airman. Battling obstinate VA bureaucrats. Delivering solace to troubled war heroes and their families. Everywhere these two go, they highlight the miraculous talents of service dogs. When journalist Kim Kavin decided that she wanted a puppy, she did what millions of people do every year: clicked on an online photo and submitted an application. She had no idea that the adorable brindle - advertised as healthy and near her home in New Jersey - was actually a last-minute rescue from a gas-chamber shelter in North Carolina. Blue had arrived in the Northeast with at least a dozen other dogs in an RV that is just one among countless transports whose sponsors are dedicating their efforts to saving dogs by any means possible. Blue was happy and friendly, but he seemed to have endured some unusual, albeit unknown, ordeal. The dog's manner prompted Kavin to trace his history all the way back to a long row of cages where Blue had been tagged to be put down in just three more days. 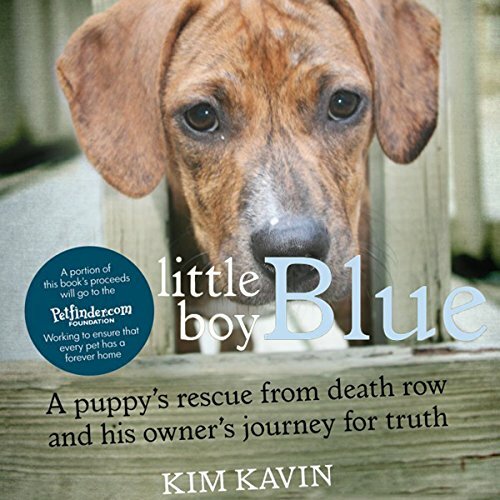 Little Boy Blue is the true story of one sweet puppy's journey of survival. It's also a shocking exposé that describes a brutal ongoing reality inside some of this country's taxpayer-funded shelters. But Little Boy Blue also tells an inspiring story of the grass-roots rescue network that has exploded across the nation in recent years. Listeners will come to know and love a very special dog who now brings smiles to the faces of everyone he meets. From a single click of Kim Kavin's computer mouse, Blue's journey of a lifetime began. This is the story of Little Boy Blue, told with candor and a great deal of love. 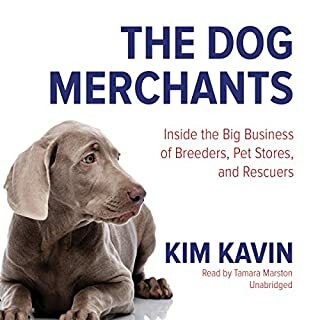 ©2012 Kim Kavin (P)2012 Audible, Inc. 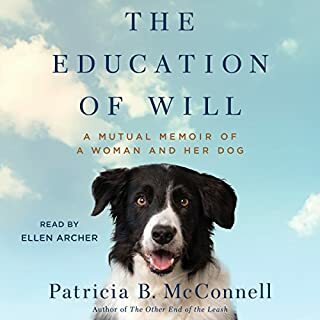 This was not at all what I expected; I thought this would be more of a story about Blue, but instead, it is a hard and in-depth look at what happens to dogs who ends up in some of these "shelters." I love Blue's story, but I have to admit, it is tough reading. The reality of a shelter dog's chances is something that everyone needs to know about. Hearing about the gas chambers at some of the shelters disturbed, saddened and angered me. It brought me to tears thinking about the plight of these animals. There is so much that I never knew about the shelters - such as some of them having high kill rates, or not waiting to euthanize dogs that are surrendered by their owners. I never thought about citizens paying their local tax dollars to shelters, thinking that their shelter was trying to find animals home, when in reality, they are killing a high percentage of them. I guess this illustrates the importance of asking questions and finding out what is really going on in some of these places. Not all shelters are like this, and I am so thankful for the ones that really try and place the homeless animals. 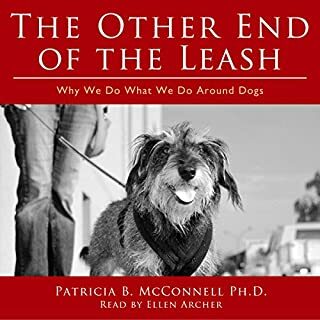 This book made me realize how lucky my Winston, a senior overweight beagle hound was. It was because the woman in a shelter in a small rural Pennsylvania community looked at his face and decided she could not euthanize him when his former people dumped him. She gave him a chance by posting his picture online, and I happened to find him. When I read this book, it gave me chills as I realized how slim a chance he ever had of surviving being dumped at a shelter. But he did, and I had a wonderful 2.5 years with him before he died of old age. The story was excellent, and the narrators did an excellent job of bringing the story to life. Most Heartfelt Book Written About a Dog! Where does Little Boy Blue rank among all the audiobooks you’ve listened to so far? Have you listened to any of Therese Plummer and Jonathan Davis ’s other performances before? How does this one compare? SPOILER!!! When the author made the call to the ASPCA about the dogs she had seen in Annie's foster home! 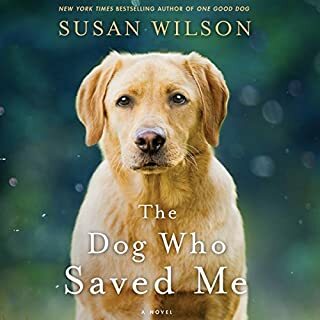 This is a great book that tracks the journey of a rescue pup and the reality of the rescue world (the good and the bad). Both of our current dogs traveled through a similar process to get to us from kill shelters. SAVE A LIFE and ADOPT a RESCUE! An eye opening peek into the world of rescue from kill shelters and gas chambers down south to private and volunteer transporters to rescues and fosters and finally to adoption and forever homes. 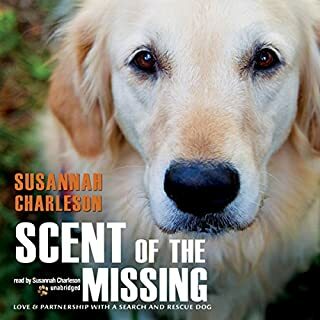 This book is a very informative read and has a heartwarming story of a journalist looking to track down the history of her rescue dog. Along the way she learns so much about tax payer funded "shelters", about so called rescues and about how thousands of dogs are saved (and sadly about the 10K per day that aren't.) It's eye opening and touching. It's sad and uplifting and I challenge you to read it and not walk away compelled to volunteer, donate or support rescues in some way. Don't shop, adopt. And always spay/neuter.